The Bullying days are over! 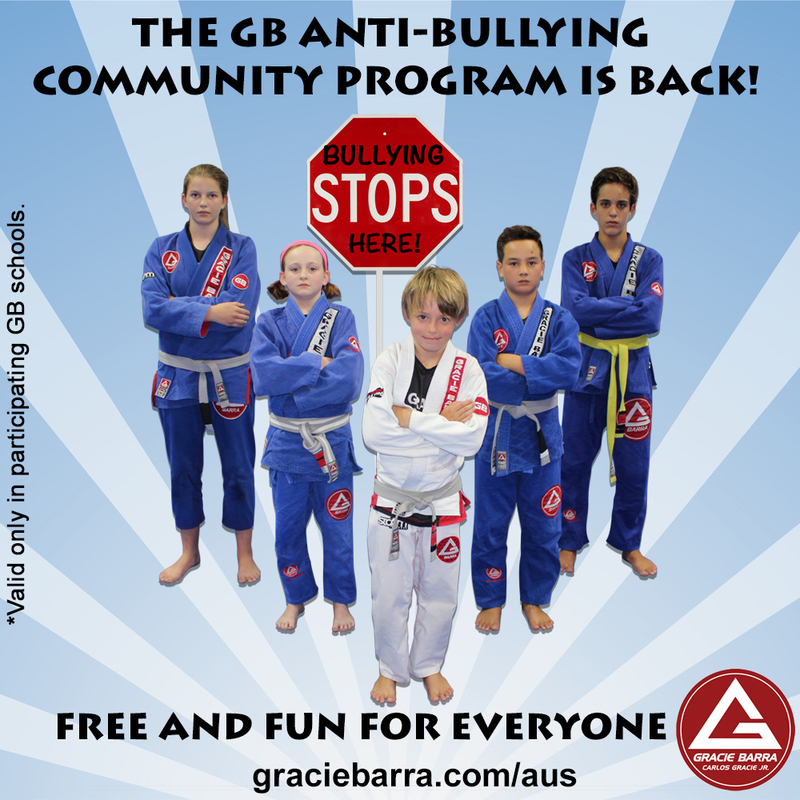 Gracie Barra is offering, AT NO COST TO YOU, an opportunity for your kids to build unshakable confidence, make new friends and learn the most effective method of self defense in the world! Classes will be held during the school holiday on 17th,19th, 24th and 26th of April. THERE IS NO MORE REASON TO BE AFRAID. WE ARE HERE FOR YOU! GRACIE BARRA: "HELPING TO BUILD A BETTER WORLD ONE MOVE AT A TIME!" GRACIE BARRA CENTRAL COAST is pleased to announce our new BOXING CLASS!!! Learn Boxing with a very experient coach in a safe and friendly enviroment!!! 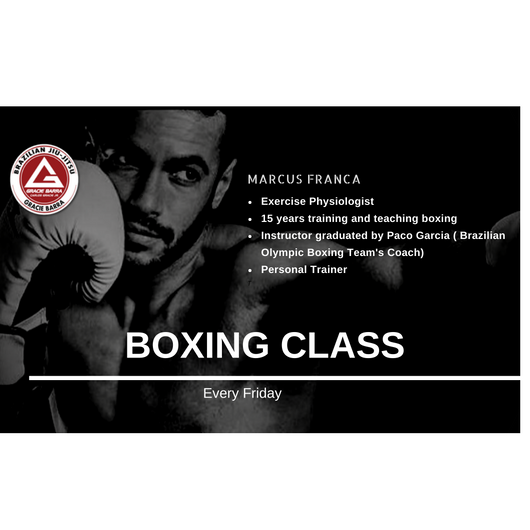 Coach Marcus Franca has been practicing boxing alongside Olympians and world champions for almost 15 years and has developed his own very particular style, which puts a big emphasis on footwork and efficiency. Our Boxing class is designed to benefit all fighters, mixed martial artists and also to provide a complete workout for your cardiovascular and endurance systems. As well as training upper body, lower body and core strength. 2 WEEKS FREE OF BARRA FIT PROGRAM!!! What makes us different from all of those other programs is that Self-Defense inspires our fitness program. The BarraFit Program starts on the 5th of February. 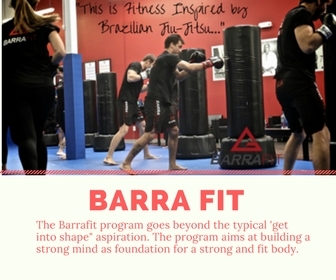 The BarraFit program goes beyond the typical “get into shape” aspiration. The program aims at building a strong mind as the foundation for a strong and fit body by teaching the same values we teach to regular Jiu-Jitsu practitioners to help them succeed on their journeys from white to black belt. BarraFit is fitness with a purpose. The purpose of achieving one’s personal best. 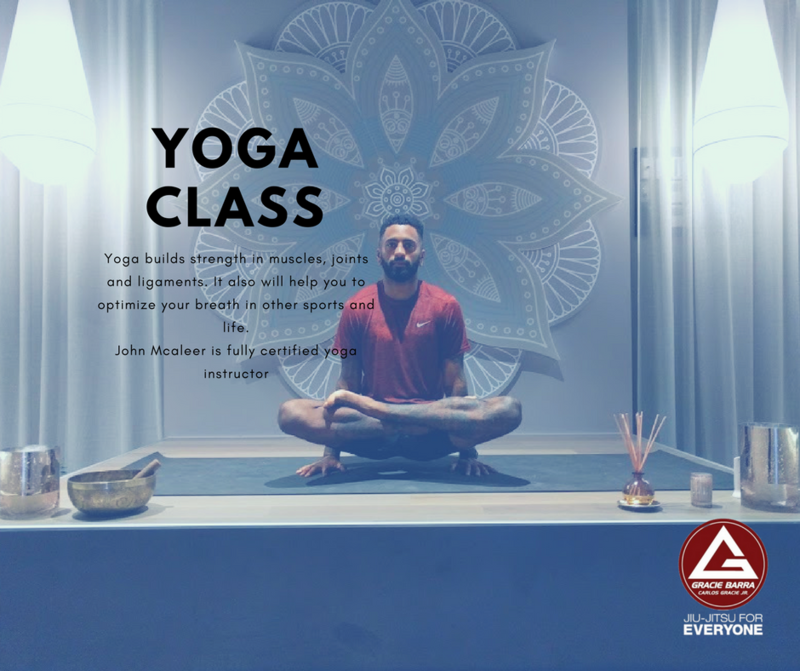 2 WEEKS OF FREE YOGA CLASSES!!! STARTING 5TH OF FEB!!! Don't miss the great opportunity of learning from a very experienced Yoga instructor in a friendly and fun enverioment. Yoga at GB Central Coast is taught in classes, catering for beginners through to advanced practitioners. It is non-competitive and suitable for anyone, regardless of your age or fitness level. Our yoga teacher will carefully guide and observe you, and modify postures when necessary. The best place by far to train on the coast. You will feel at home straight away. Top people. Top training. Top professor! The best place on the central coast to train BJJ. Professor Danni is a great teacher and friend. Sweet Gym With awesome Brazilian Jiu Jitsu! Definitely Check in for a training session then hit the beach! Great Location! Ossss Gracie Barra! Excellent training facility! Great team with encouraging and supportive coaches and team mates for the competitive athlete or casual training with a welcoming family and female friendly environment!